You know that analogy people use when you haven't done something for a long time and then you're going to try to do it again? "It's like riding a bike, it'll all come back to you", they say. Well as we left the car park at the National Zoo and Aquarium (see this post for more information), this saying was weighing rather heavily on my mind. 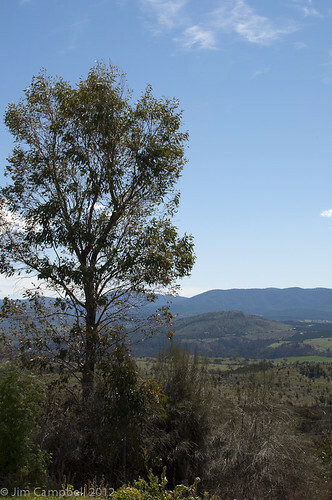 You see, the next stop for us Adventure stream Humans was at Stromlo Forest Park for an afternoon of mountain bike riding! Like most kids, I grew up on bikes. I had a paper round back in the days when kids used to ride around with newspapers in sugar sacks on the back of their bikes and put the papers actually into the newspaper hole of your letterbox. Now some fat dude in a car drives past and throws a rolled up paper, which will never again lie flat, in the general direction of your house. Later on, I used to ride road bikes, sometimes for quite long distances. It was nothing to ride from HMAS Cerberus to Blairgowrie on a Friday afternoon and back on Sunday afternoon. Many years later, I rode from Ballarat to Horsham, although it did take me three days and I caught the bus back! So I was moderately confident that the skills would come back, what I was more worried about was my age, weight and lack of fitness. Luckily we had already been asked to declare whether we wanted to be in the "Beginner", "Intermediate", or "Advanced" levels. Bravely I clicked "Beginner". 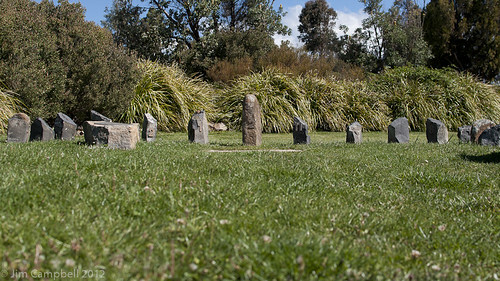 The first thing you notice when you arrive at Stromlo Forest Park is that there is no forest. There are hardly any trees at all. Well there used to be until the devastating bushfires of 2003 tore through the area. 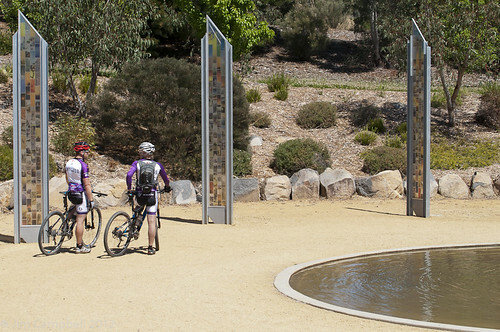 There is a memorial area in the park and that is one of the first places our little "Beginners" group stopped once we started our ride. 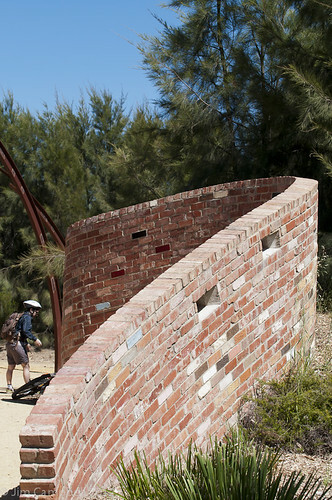 This wall is made from bricks from some of the roughly 500 homes that were destroyed during the fires. Our mountain biking guides in the memorial park proper. 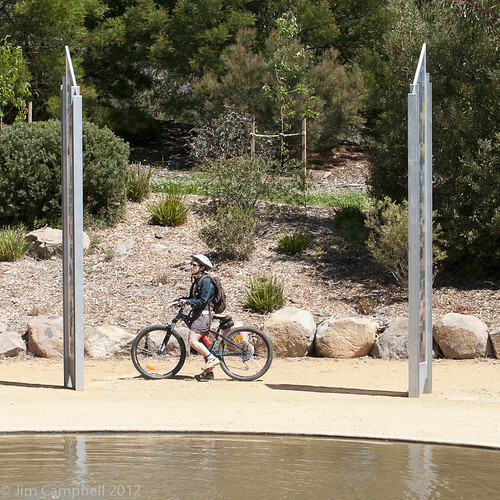 Amy (@badskirt) admires one of the photo-poles in the memorial pond area. Amanda approaching the same area. 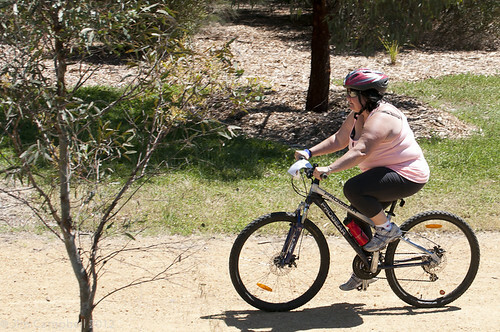 I'm sure you will understand that riding a mountain bike is not exactly an activity suited to taking photographs. I did have the smaller of my two DSLRs, the Nikon D5000 with a 35mm lens (50mm equivalent), on my Spider holster, but most of the time I had my hands full just staying upright! 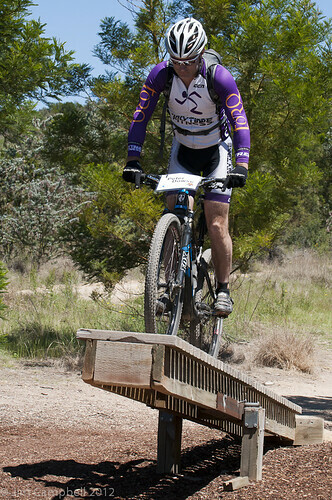 I did manage to get this one of our "Leader", Peter (the other guide came behind to make sure we stayed together and was called the "Sweeper"), going over one of the many fun obstacles that are spread around the mountain biking trails. I would have given this a shot, at least this particular one which is the lowest and widest of the three see-saws. The other two got both higher and narrower! Sadly, because of our beginner status, we weren't permitted to risk it. Probably for the best! In an area of the park called "The Playground" there were a series of raised bridge-type obstacles, one of which we tackled. A little further along were a series of metre-deep corrugations, which we also learned how to traverse. The guides, both expert, professional mountain bike riders were excellent at teaching and demonstrating proper techniques. There's more to this than meets the eye, you know. 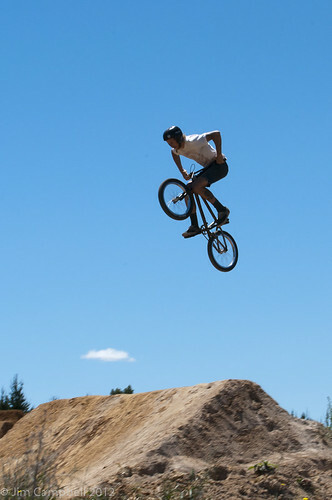 When we got back to the mustering area, oh all right, the parking lot, we found that a demonstration of BMX riding had started in the BMX area. Well, where else? 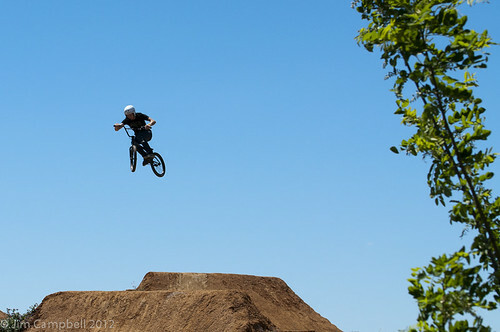 I have long wanted to try photographing this sport and if I had known, I would have brought along a speedlight for some fill. In the end I had to use the built in flash on my camera. Please don't tell David Hobby. Particularly happy with that last one. 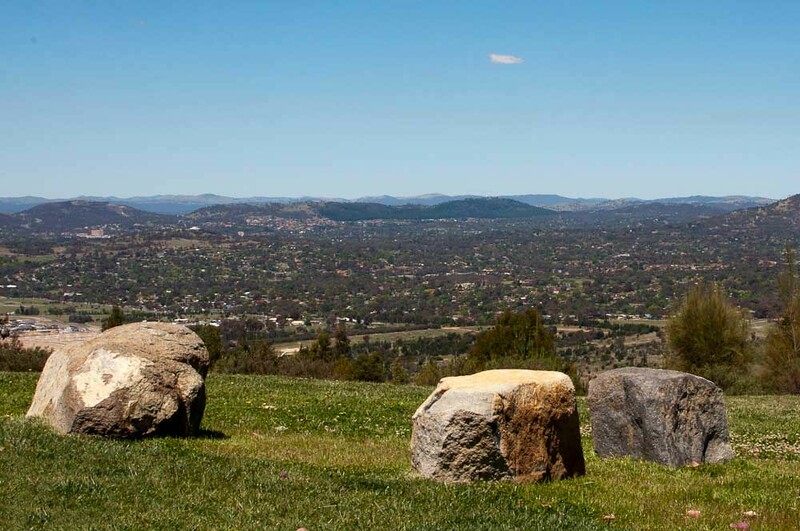 Then it was time for a late lunch, so we jumped back on Roy's coach and headed to Scope, a restaurant in the grounds of the Mount Stromlo observatory. Course after course of delicious food appeared and was duly appreciated, washed down with some much needed chilled beverages. I'm afraid though, that if you want pictures of food that I haven't myself cooked, you've come to the wrong blog. I suggest you check out the Adventure stream of the Human Brochure website. Wined and dined (again! I don't know how much better the Food & Wine Humans were treated in this area, but we Adventurers certainly didn't miss out on great food and wines, much of it locally sourced), I headed out to take in the view and to shoot a few photographs. The view was pretty good! 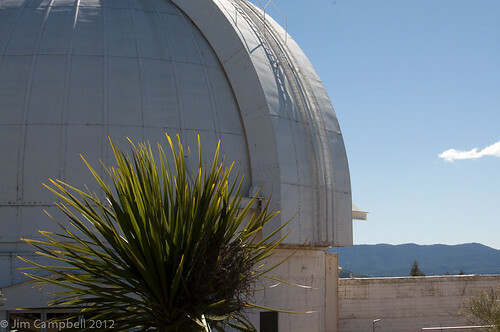 There really is an observatory, several actually. And it may just be that Banksy had visited at some time! 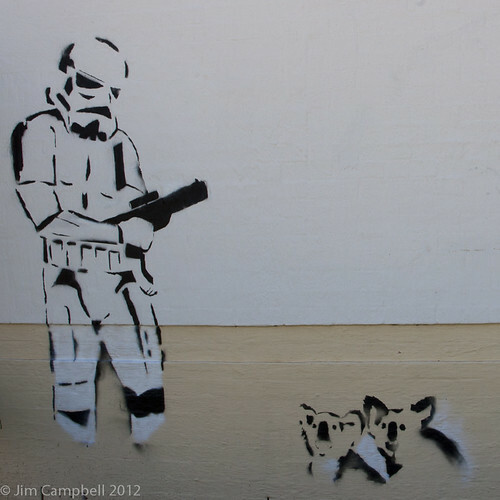 Ok, maybe not Banksy. I like this piece; if you know who is responsible, please drop a note in the comments. There was an analemmatic sundial! Which I kind of ruined for you by being artsy and lying down to shoot it. Here's a more informative picture from ArchivesACT's flickerstream. Then it was back to the hotel for a soak in a hot bath before heading out to dinner at Soju Girl restaurant and bar. Sadly, this didn't work well for me. And it's my problem, not anything to do with the Human Brochure team, the Soju Girl staff or the other participants. 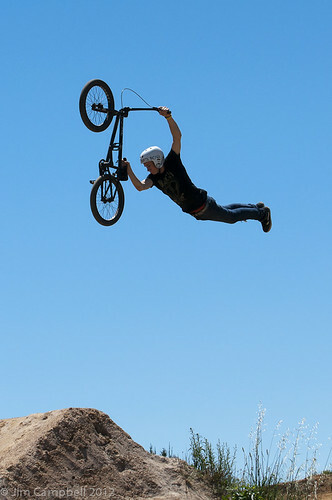 First of all, I was more worn out than I thought from the mountain biking. I was fair dinkum pooped out. Secondly, 'social' on social media doesn't necessarily equate to 'social' in real life and I'm afraid that I'm not. I also know it's accepted these days to instagram and tweet pictures of food before you eat it and to spend the meal paying more attention to your smartphone than your fellow diners, but that's not what I'm used to. Oh and see that "and bar" at the end of the venue's name? Well imagine a bar in the heart of Canberra on a lovely warm Saturday night. Throw in at least one hen's party. The food was magnificent but the place was far too loud for me to consider it fine dining. I left early, walked back to the hotel and crashed. Crashed hard! I'm sure I missed a great night, but at least I recovered enough from a good night's sleep to be up bright and early for the final day's adventuring. Which will be the subject of the next post. ps Again, if you are in any of my photos and you'd like a copy to print for your own personal use, drop me a comment or DM your email address to @justjimwilldo on Twitter and I'll re-process it for you in a printable format and without the copyright notice. Also, if you have any photos of me bravely adventuring around Canberra, I'd appreciate it if you could let me have a link to where I could see them. Great post Jim and really wonderful pics. Look forward to the next instalment! Thanks, Imogen. It's nice of you to drop by and leave a comment. I appreciate it. Love it Jim! Those photos are amazing - and light problems aside, I love the one you captured that you liked too (the third one). I stupidly switched to intermediate. I should have stuck with you lot! And as for Soju Girl - everyone was over-tired and found the polite conversation/instagram balance difficult ;-). Lovely to meet you Jim! I'm looking forward to reading what comes next for you. Thanks for your kind words, Kate. Glad you like the photos. I'm sure you're right about the dinner as well.